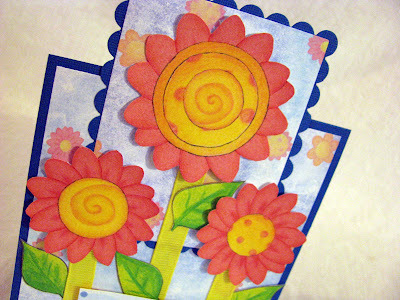 I have another fun little card using the eKit called Happy Flowers by Making Handmade Cards. Remember on the last card I used the flowers with the cute smiling faces? Well, this time I used the plain no faces flowers! So cute! I cut out each flower head and the leaves and then used some yellow ribbon for the stems! I really like how they turned out! The little tag that the Kim Hughes celebrate stamp is on is also included in the kit in all sizes so you can choose which one is just right for your card or project! 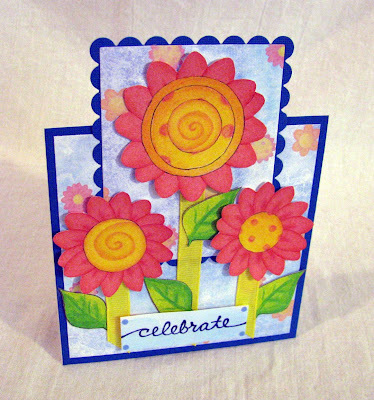 This is one of the tent topper cards that I love making. The shape alone makes them extra special and not just another ole card! LOL! If you'd like to try one, just start with a 4 1/4 x 4 1/4 card base and then you can use any shape for the topper, but when you adhere it to the card base, make sure you don't make it taller that 5 1/2 inches all together and it will still fit in your envelope! EASY PEASY and oh so CUTE! That's it for today's card. THANK YOU for peeking in on me today. I'll see you next time for more card FUN! HUGS! Too cute Dee Dee. Love the bright cheery colors! This is lovely especially since its dark outside and rainy here in Iowa. 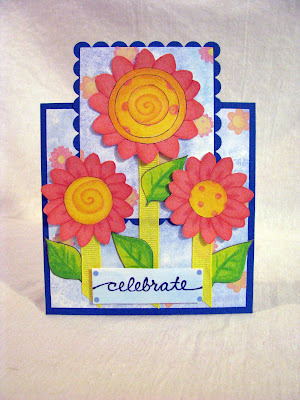 I have to agree with Jaspere.. this bright cheery card is great to see when it is pouring down rain here in Texas. Love the colors!! Woweee, DeeDee, this is just the cheeriest card evahhhh. I love it. Oh this is so bright, fun, and CUTE!!! 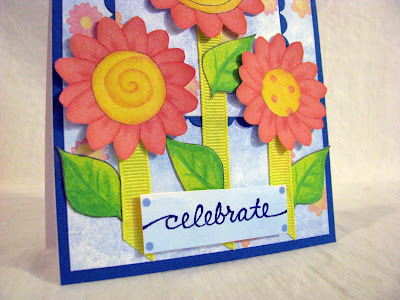 I love the cheery colors and feel to this card, DeeDee!!! FABULOUS card my friend!! Big hugs!! Love it! Love it! Love it! What a cheery card. It's getting ready to rain here AGAIN! Dark and gloomy and this card just made me smile.